See the MLS Listings tab on the Web Site Home Page Tool Bar for additional information on the following listings or to search all listings in the Augusta County, Rockingham County, Albemarle County areas and cities within. See MLS Listings on the Web Site Home Page Tool Bar for additional information on the following listings. Description: Great downtown location. Improvements include – newer roof and HVAC, flooring replaced, updated break room with newer appliances, updated electrical. Approximately 2900 square feet. Flood insurance is not required. Presently being used as consignment retail. Business is also for sale. Includes cloths racks, desk, fixtures, mannequins, inventory, systems. $12,000. 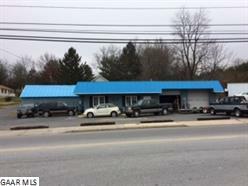 Description: Presently used as an auto repair shop. 2 large bays – each with a 10 ton rotary lift. 600 SF flex space that could be used as a waiting room, office, retail. Owner is willing to sell his entire Snap-On tool inventory for an additional cost. Located only 1.2 mile from the Route 262 Loop. 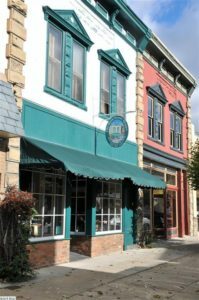 Description: Home to a thriving Covington business for 30 years. 4500 square feet. The main floor is currently a favorite lunch spot and gift shop. Second floor apartment possible. Street and private parking. 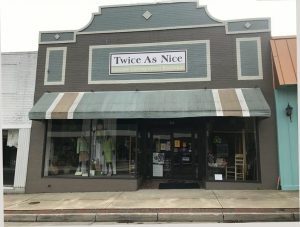 Fantastic opportunity for a downtown business. Description: Currently rented. Zoned L-B Local. 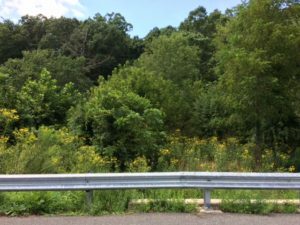 May be purchased with two adjoining parcels – .5 acre lot and a 4 acre parcel. Parcels may be purchased separately. 0.5 – $75,000. 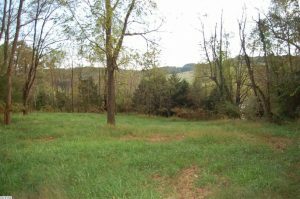 4 acre – $125,000. 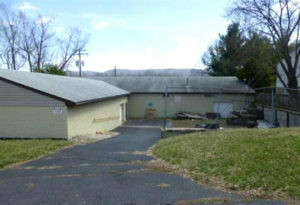 Description: The property includes two buildings. 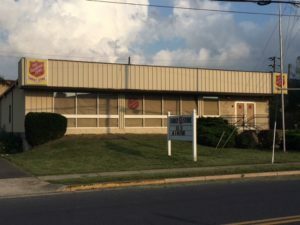 The newer building, 252 Arch Ave., was built in 1999 and used as the Salvation Army Thrift Store. 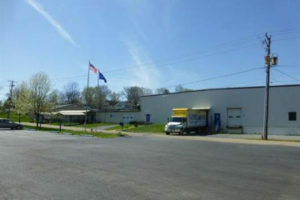 It contains 5,000+/- SF, large retail area and an open warehouse space with dock and overhead door. It also contains 2 half baths, gas forced air heat, AC and trash compactor. 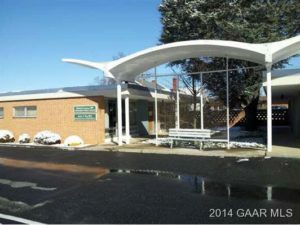 The older building, located at 246 Arch Ave., is situated on a 0.26 acre lot and contains 3,000 SF, 5 offices, reception area, 2 storage areas, 3 half baths, gas forced air heat, and window AC units. Both buildings have limited mobility/handicap ramps to front doors and paved parking lots. 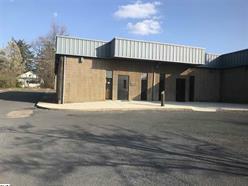 Description: 2500 SF of up-to-date office space containing 10 rooms/areas suitable for medical and office operations. Very affordable modern space currently being divided into two suites. Description: Good site for light manufacturing, shop, in/out storage. Two overhead dock doors. Ceiling height 8-10 feet. Description: Offering includes parking lot with 43 parking spaces. 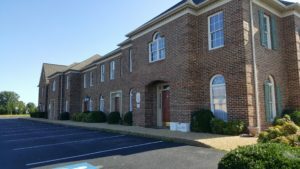 Leases on all space except third floor and a few offices on second floor . Square footage by appraisal and not City records. Listing agent has ownership interest. In the heart of downtown Waynesboro. Description: High traffic corner with great visibility. Located on the corner of West Main Street and New Hope Road adjacent to Downtown. Custom brick building constructed in 1989 as a veterinary clinic. The building features 19 rooms. Layout can be customized as most interior walls are non supporting. Well cared for, quality construction. Excellent parking. Current tenant vacates in the Fall 2018. Description: Good value on office space. Excellent condition. Move in ready. Basement storage – outside entrance. In condo complex with other professional uses. Makes excellent dental or physician’s office. Established condo. 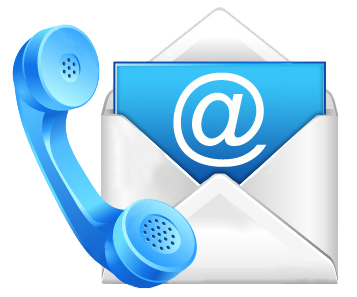 HOA covers utilities, maintenance, janitorial services, taxes/insurance, landscaping and snow removal. Description: Large building ideal for service companies, distributors, or light manuf. Divided into two halves: administrative space for 17-22 employees, conference room, 2 bathrooms,and kitchenette. Front has been newly updated. New heat & AC. Wired for modern use (CAT6). Warehouse room has two 12 X 10 bay doors & 18′ ceilings. 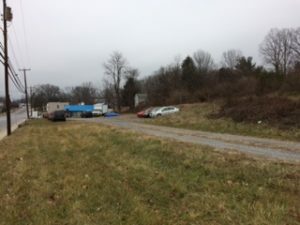 Includes 50′ adj lot for extra parking or expansion. Owner financing or attractive lease purchase. Description: HOA covers utilities, maintenance, janitorial services, taxes, insurance, landscaping and snow removal. Property consists of reception area, waiting room, lab, 3 exam rooms, work area, office and two restrooms. Furniture and accessories are negotiable. Convenient Waynesboro location. Ample parking. Description: Office condominium. Second floor unit in a complex of 8 units. 1200 SF, reception area, 4 offices, kitchen, and full bath with shower. Paved parking in front. 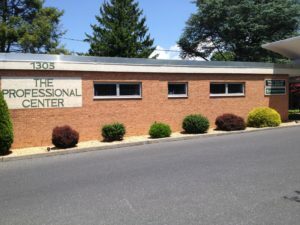 Located in the booming West End of Waynesboro. Description: Offered with 933 & 912 Fairfax Ave. and vacant lots. Seller reserves the right to sell this property prior to accepting offers on the other listings. 21,320 usable SF. SF by City appears to be overstated. Good site for light manufacturing, in/out storage. Overhead dock doors. Ceiling height 18′ in warehouse. Good bathrooms, elevator. Portion built in 1970’s and portion in about 2003. Parking lot. Garage and workshop and some outside storage. Description: PRICE REDUCED EVERY TWO WEEKS! Located at the high visibility corner of 13th St and Oak Ave. Waynesboro. 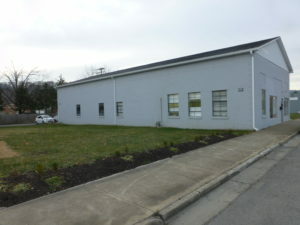 Medical office building with good reuse possibilities. 35 offices and rooms. 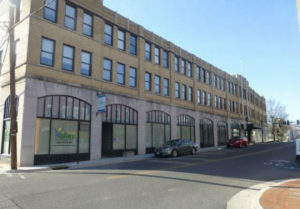 West side of upstairs (1517 SF) is currently leased at attractive rate until 2020. Total upstairs is 5301 SF. Stairs and walk out offices in lower level adding another 1517 SF which includes some storage space. Building is a high quality construction. Description: Rolla Mills Subdivision. Brick exterior, professionally landscaped, versatile floor plan, family room with fireplace, immaculately maintained. Located in the Fort Defiance School District. This one has a lot to offer. Description: So much to love about this fantastic well designed Teaverton residence. 3220 finished SF on three levels plus room for expansion in unfinished portion of walkout lower level. Light-filled interior, gleaming wood flooring, generous sized rooms, rear deck with sun rise views over the Blue Ridge Mountain range. All this home needs is YOU! Description: Historic gem renovated to perfection. C. 1870. Exterior is reminiscent of Italianate architecture with shallow hipped roof, decorative brackets,transom over the front door, decorative chimneys, sawn mill work balusters and a natural earth tone siding color complimented by bright accent color on the trim. The owners have spared NO expense on the renovation preserving as much of historic character as possible Spacious rms, gleaming wood flooring, formal living and dining rms, family rm with fireplace, beautifully appointed kitchen with loads of cabinetry and Bosch range, covered rear porch leading to stone patio, detached garage and so much more. This fantastic Valley residence has Blue Ridge Mountain views and is situated on a 1.3 acre lot. Description: Historic Tree Streets area of Waynesboro. The first floor of this bungalow features a spacious foyer, open kitchen/dining/family room, full bath, laundry area, and a flex room to be used as living room or first floor BR. The second floor features 3 BRs and full bath. Basement provides storage space. Nearly level backyard with alley access. Description: Living at 1001 Selma Blvd. is a true “walk in the park” as Gypsy Hill park is only a few block away. Craftsman style bungalow offer timeless character and charm. 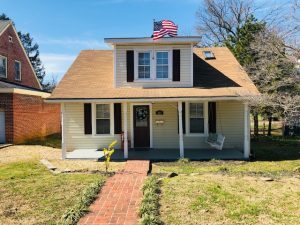 Brick exterior, freshly painted interior, hardwood flooring, 18′ x 18′ sun room, updated kitchen, patio, flex space in walkout lower level, garage, and more. Description: Brick exterior, hardwood flooring, gas log fireplace, 2 BRs and bath on each level, covered patio and unfinished basement. Alley access to rear of property provides parking space under the 3-car carport. Description: Beautifully maintained two-story brick residence situated on a 0.46 acre lot. Brick believed to be from an old Waynesboro home. Exceptional masonry work. Remodeled kitchen features granite counter tops, stainless appliances, eat-in area, and access to the rear patio and pool area. Formal living room with wood burning fireplace opens to dining room with views of the rear garden. Den with built-ins (could function as a first floor bedroom) and bath with step-in shower complete the first floor. The second floor features 4 BRs and 2 full baths. Wood floors throughout – two bedrooms have them covered with carpet. Unfinished basement offers wonderful space for storage/workshop/office etc. Mature landscaping, in-ground pool with pool house, tool storage building, vegetable garden, and additional parking in the rear. Description: Wyndham Hills Subdivision. One level; gleaming hardwood flooring in living areas; inviting kitchen with oak cabinetry, breakfast bar, and granite counter tops that opens to light-filled sun room; living room with vaulted ceiling, gas fireplace and built-ins; floored storage area over 2-car garage, fenced backyard. Situated on a corner lot. Wilson School District. Description: Circa 1899. 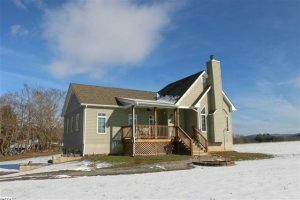 Situated on 3.4 acres in the heart of Fishersville. 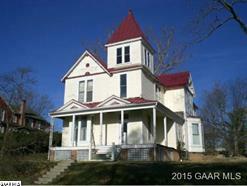 Victorian charm, oak woodwork and mantels, heart pine floors, spacious rooms, pleasing floor plan. Public water and sewer. 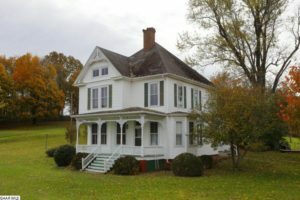 Rezoning or special use permit may allow for a B & B. 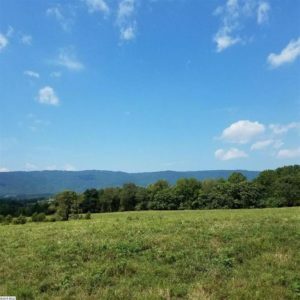 Description: Placed on a 2.58 acre parcel to capture miles of Blue Ridge Mountain views. Open great room with vaulted ceiling and floor to ceiling stone faced fireplace. Hardwood floors throughout main level. Other features include room for expansion in the unfinished walk out lower level, 2-car garage, and public water. Description: Well maintained, low maintenance, one level. Hardwood flooring in living area, appealing rear deck, garage, fenced backyard, and storage buildings. 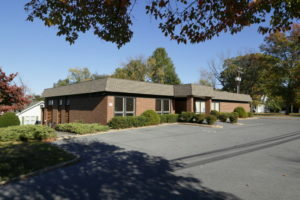 Conveniently located to Augusta Medical Center, library, shopping, and I-81/I-64. Wilson School District. 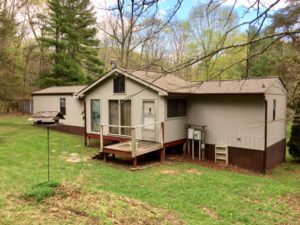 Description: Tucked away on a 0.88 acre lot in Baldwin Acres. 6700 SF of living space, custom features throughout, library with built-ins, updated kitchen with breakfast area, formal living and dining rooms, 27′ x 16′ great room, in-ground pool, brick exterior, 2-car garage plus carport, and so much more. Located only a short distance from Historic Downtown. 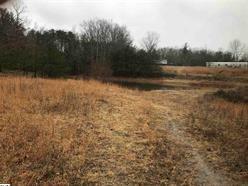 Description: 3.90 acre parcel. Multiple uses possible. 3872 finished SF on two levels. Originally used as a church. Could be redesigned as a residence. GA zoning. Conveniently located between Staunton and Stuarts Draft. Stuarts Draft School District. Description: Blue Ridge Mountain views from this subdivision of well maintained homes. 2140 finished SF plus room for expansion in the full walkout heated lower level with half bath. Brick and vinyl exterior, cherry hardwood flooring in the living room, tilt-sash windows, over-sized two-car garage with storage closet, and a tree-lined fenced backyard. Description: 1200 finished SF, many updates – replacement windows, new laminate and vinyl flooring, new kitchen cabinetry, appliances convey. Partially fenced yard. 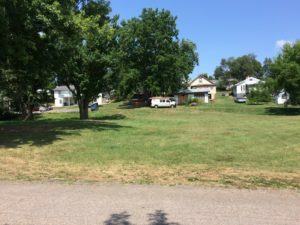 Close to Gypsy Hill Park and Historic Downtown. Description: City bungalow features wood flooring under carpet, open living/dining/kitchen, neutral wall colors, newer carpet, pantry, gas range, and off-street parking. 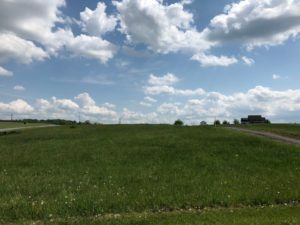 Description: 2.02 Acres. County setting. 2190 finished SF, sun room, detached over-sized garage, and storage shed. Description: Construction under way on this beauty. 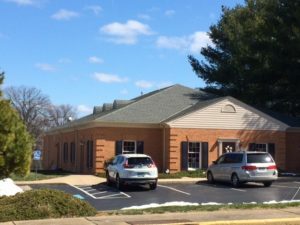 Located near the Waynesboro Country Club. One level with 2nd floor bonus room that can be finished. Double sided fireplace – living room and rear porch. Master bedroom has a tray ceiling, bath and large walk-in closet. Still time to customize. Call today for details. 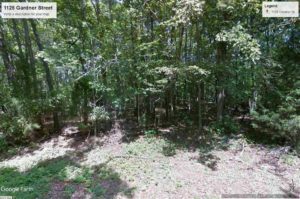 Description: One acre lot. Farmhouse in country setting. 1900 +/- finished SF, open family room/eating area, and kitchen, tilt-in windows, central AC, and several outbuildings. Buffalo Gap School District. Description: NOW UNDER CONSTRUCTION in Ivy Ridge. 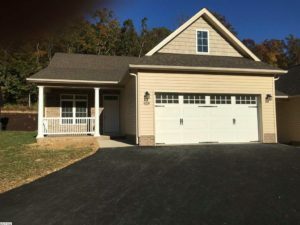 One level split bedroom floor plan, 2500 finished SF, open great room/kitchen/breakfast nook, dining room or study, granite counter tops, hardwood floors throughout, and 2-car garage. Only minutes to Augusta Health Care campus. Stuarts Draft School District. Description: One level with basement. Carport converted to a screened porch. Study/library with fireplace. Off-street parking, alley access to rear yard. 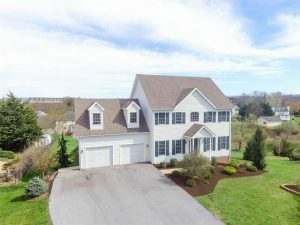 Description: Updates make this Wyndham Hills home very desirable. Nothing to do but move-in. Open living/dining/kitchen area with engineered wood flooring and access to rear covered deck. Freshly painted interior, designer master bath, and much more. Description: 29.8 Acres. Main house features 1900+/- finished SF; sun room with vaulted ceiling, hand hewn beams, skylights, stone faced fireplace, and hot tub; and an unfinished basement. 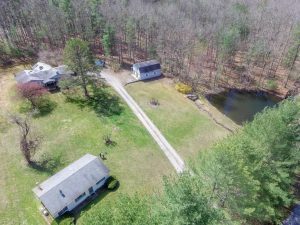 Other amenities include a stocked pond with water wheel, creek, 2-car garage, guest house, barn, shed, and gazebo. Description: Great starter home or investment property. New heat pump/AC installed in May ’18, carpet/laminate/vinyl flooring, double closets in master bedroom, and off-street parking. Description: 77.80 ACRES plus farmhouse, barn, equipment storage building, and mountain views. 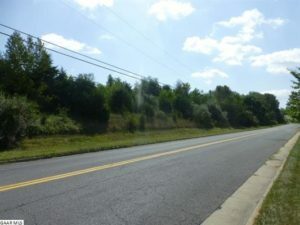 Superb location at the corner of Rt 254 and Kiddsville Rd – long road frontage on both roads. 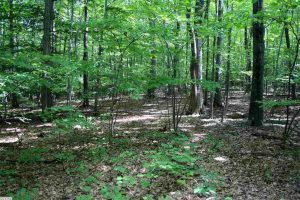 Land is mostly pasture with wooded area on the Eastern side of the property. Farm and farmhouse are currently rented. 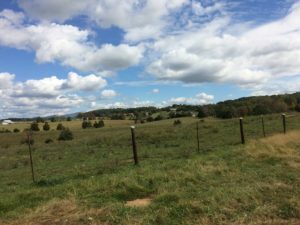 34.3 adjoining acres are available for $300,000. Sold as a whole with 135.08 acres – $995,000. Description: Retire in style. One-level condominium units featuring an open living/dining/kitchen are with vaulted ceiling, two master suites, laundry, and screened porch. Attractive lobby area and elevator access to upper floors. Storage and garage space is available at an additional cost. Units available to customize or upgrade, if desired. Gables East is a NON SMOKING campus. No smoking inside or on complex grounds. There is a permitted smoking area in a gazebo on the property away from the buildings and grounds. Owner financing and two-year leases may be available. Description: Circa 1890’s. Some improvements already made – water/sewer line replaced in ’08, newer gas boiler ready for installation. electrical service updated and more. Interior has been gutted and is ready for renovation. Lovely lady waiting for her prince charming. Call today for details and to schedule a personal tour. Great opportunity waiting in the “Tree Street are of Waynesboro. 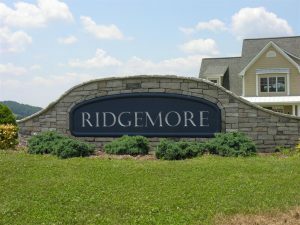 Description: Located close to Gypsy Hill Park, and the Rt 262 By-pass, this one story townhome is just waiting for it’s new owners. Offering an open floor plan with all the amenities you’ll need. Large family room with high ceilings, kitchen with bar type seating, appliances, and pantry, dining area,3 bedrooms, 2 full baths, 2 car garage ,patio, front porch. Lawn care and snow removal are provided by HOA. No through traffic. Development of 38 units. More units scheduled to be built. Listing agents are partners in Par Four L.L.C. Description: Phase II now under construction. 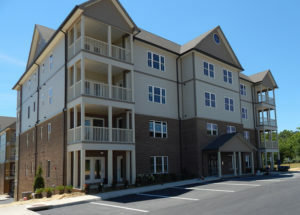 Stylish townhouse community of 36 units nestled on eight plus acres in the city of Staunton. No through traffic, units clustered around cul-de-sacs to provide a village like setting. One level floor plans are designed for efficiency and are economic to maintain. Low maintenance brick and vinyl exterior. POA maintains lawn care and provides snow removal. Bob Brydge, Associate Broker, (540) 490-3080. Description: Nearly level building lot with mountain views, no restrictions, well in place, and a 2-two car garage. Soil has been tested for an Engineered Drip septic system. Double-wide on property is taxed as personal property and in need of renovation if Purchaser wants to use it. Description: Elevated building lot. Scenic views from the level upper portion. Near the village of Churchville. Public water available. Fantastic buy at this price. 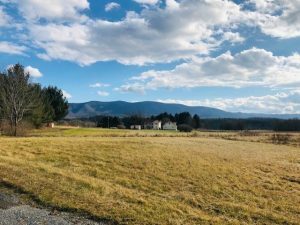 Description: INCREDIBLE 360 degree captivating Blue Ridge Mountain views, surrounding farms and colorful mountain tops affords you a peaceful, tranquil setting w/privacy. 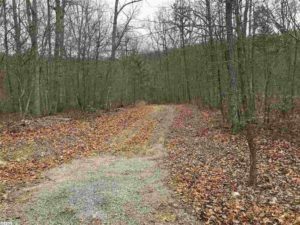 Fabulous building sites throughout this acreage in wooded and/or cleared areas. Minutes to Charlottesville, Waynesboro, wineries/breweries, and easy access to I-64. 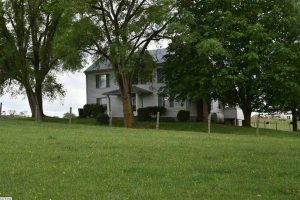 Property in this coveted part of Nelson County does not come along very often. It is a once-in-a-lifetime opportunity. Streams provide water for animals. The pictures cannot captivate the true essence and outstanding beauty of this land. If you desire vineyards, farming or building for your future, stop and take a better look today! Humpback Rock views on a clear day. Sold as a whole or in part. Description: Prime Augusta County location. Elevated building site with panoramic views. County water available. Septic permit pending. Adjoining two acre parcel available for sale, as well. Description: Narrow wooded building lot with frontage on White Bridge Rd. Public water and sewer available. City may allow a well. Description: Attractive building site or grazing land. Spring fed pond on property. Mostly level with some wooded area. Riverheads School District. 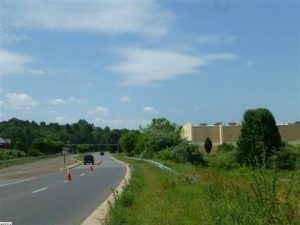 Description: Highly visible location zoned L-I Lt Ind. City must approve division from a larger parcel. 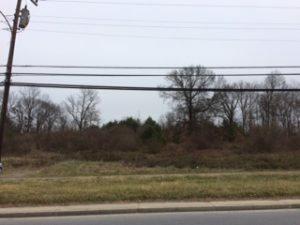 Description: 4 ACRES with good frontage along N Delphine Ave. Land rises to the East behind the frontage to afford future development opportunities. City must approve division from a larger parcel. Description: Located in the city!. Sloped with trees and good views. Zoned RG-5 General. 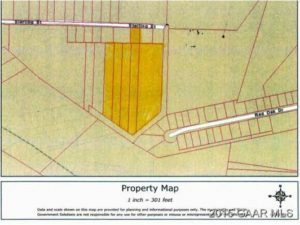 Description: Prime Augusta County land with good frontage on Rt 254/Hermitage Rd. Fantastic mountain views. Several possible building sites. Parcel A cannot be divided until 2022. Parcel B cannot be divided until 2023. 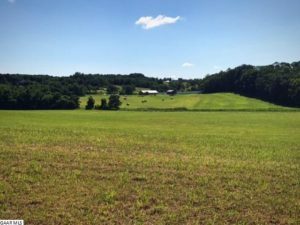 Additional 77.80 acres with farmhouse, barn, equipment shed available for $599,000. Description: Attention builders/developers! Unimproved lot with potential to be subdivided into 3+ lots. Public water and sewer available. Description: 6 Unimproved building lots sold as a whole. R2 Zoning – Low Density Residential District. 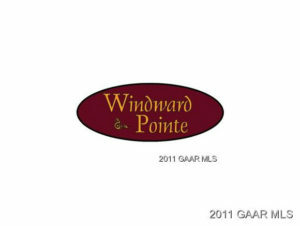 Access to lots through Lot 4A/434 Sterling St. Land is open and rolling with one high point. Development potential. 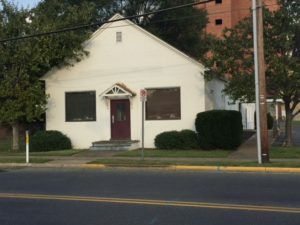 Public water and sewer is believed to be available on Sterling St, however, needs to be confirmed with the City of Staunton. 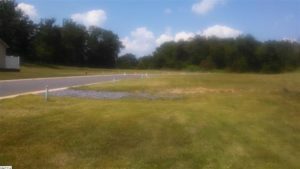 Description: FOUR BUILDING LOTS zoned Light Industrial (LI.) Open and elevated, public street. Will sell separately at $27,500 per lot if desired lot does not isolate another lot. Description: Hilltop setting with Valley views. Several possible building sites. Year round stream/creek. Only minutes from Staunton conveniences. Riverheads School District. Description: ATV trail to mountain top. Has ingress and egress to lake for boating or fishing. Secluded location. Road maintenance agreement. Description: Zoned for all commercial business uses. High visibility. Located on connector between 250 (Main St.) and 340 (Rosser Rd). Description: DEVELOPMENT. 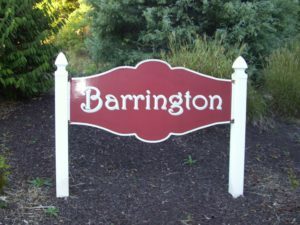 22 townhouse building lots located in the Barrington Subdivision. Streets with water and sewer, have been completed. Phase 1, which includes 12 townhouses, has been completed. The subdivision is located close to downtown Staunton, Rt. 262 bypass, and Gypsy Hill Park. Townhouses grouped around cul-de-sacs. No through traffic through subdivision. Plat and townhouse plans available. Excellent investment opportunity. Description: Deep lot with long frontage on Bridge Ave with curb and gutter in place and sewer and water available. Lays out well for 30 townhouses. 2. units must have at least 1,200 sf of floor space. 3. no restrictions on architectural design. Development costs should be greatly reduced as public road frontage is in place. Owner is active real estate broker. Description: MILES OF BLUE RIDGE MOUNTAIN VIEW – PRICELESS. Conveniently located to local medical center, library, and vineyard. Only a short drive to I-81/I-64. Augusta County water and sewer available. Bring your builder and floor-plans and get started today.